A celebration of nature. Perfect for any occasion, birthdays, anniversaries, new baby, and more. 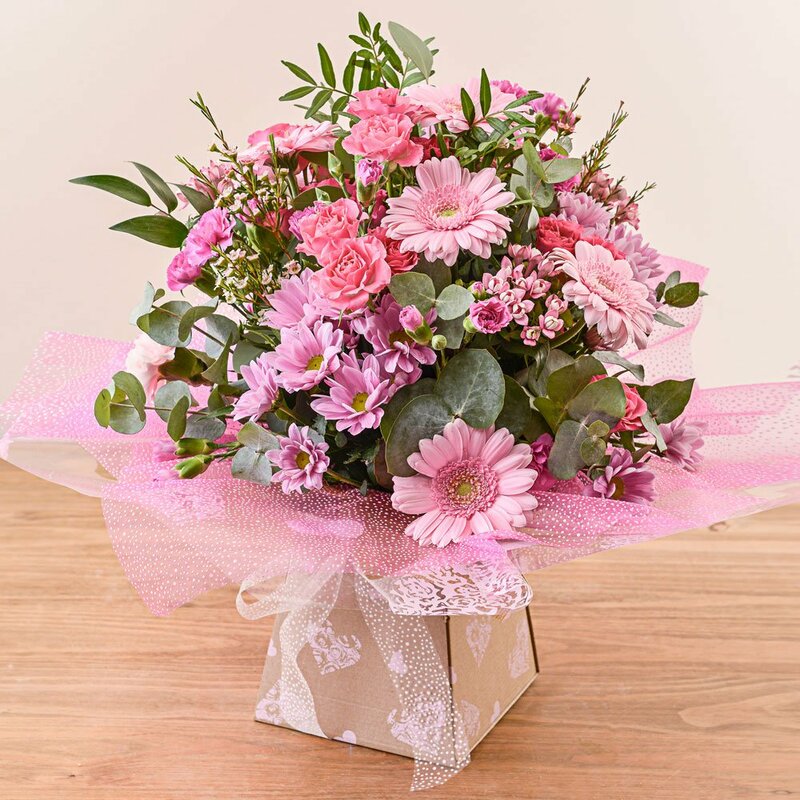 With the florist choosing the best of the seasons flowers in stunning shades of pink this will defiantly be a delight of a bouquet to send. www.butterfliesandblooms.net our florists have an eye for style and beauty. Pink Beauty has shades of pale pink to cerise giving a rainbow of pretty shades. The perfect gift for a birthday or the birth of a baby girl. Wrapped in coordinating cello and sent in an aqua back to keep the flowers hydrated and fresh Pink Beauty will certainly make the recipient smile! 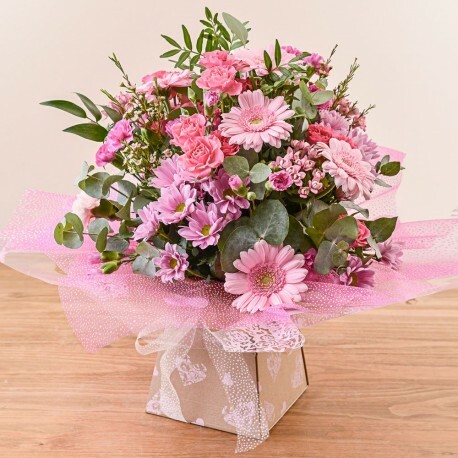 This Hand Tied bouquet can be delivered within the Gateshead and Newcastle Area. Please see our other bouquets and arrangements. We can also send chocolates and balloons with your flowers. Get in touch if you have a special request, we strive to work with our customers to get the items they want.